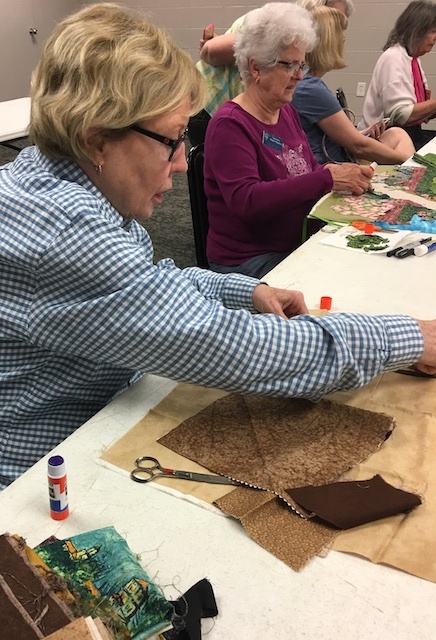 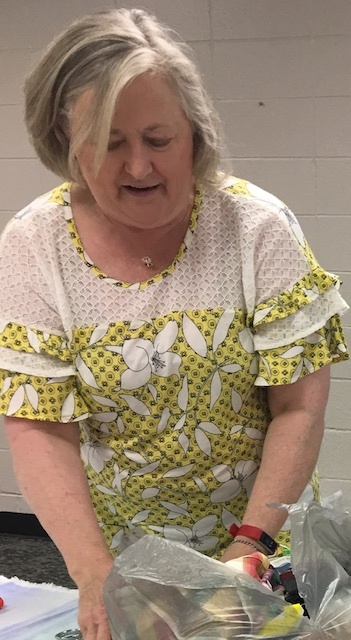 This class was a follow-up to the Nancy Zieman video on Landscape Quilting which was viewed at our last meeting. 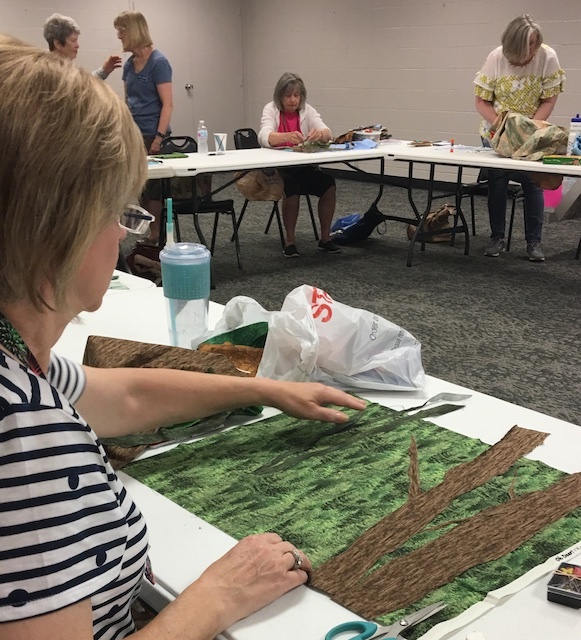 Today’s class could easily be called “Landscape Quilting Made Easy”. 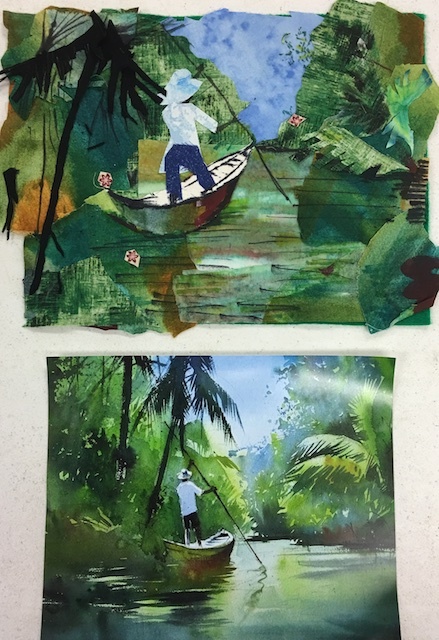 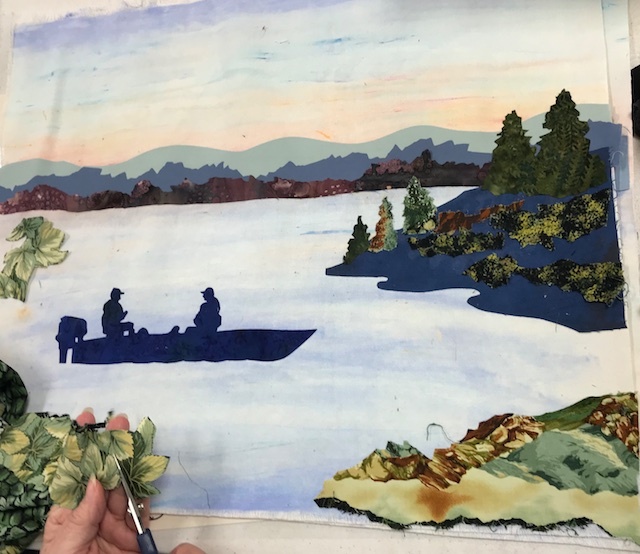 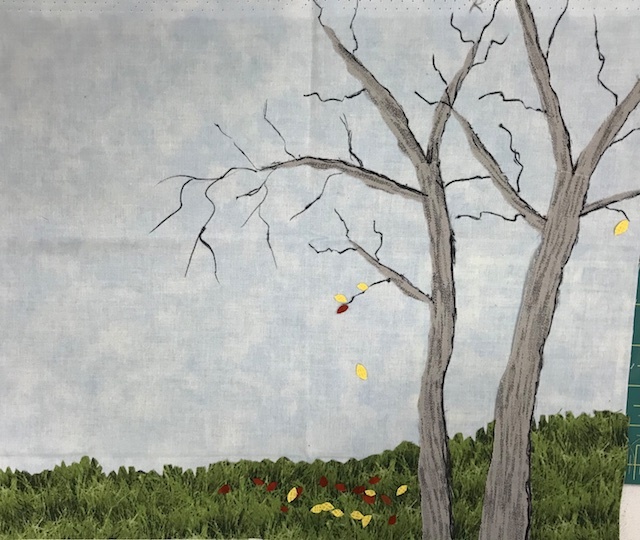 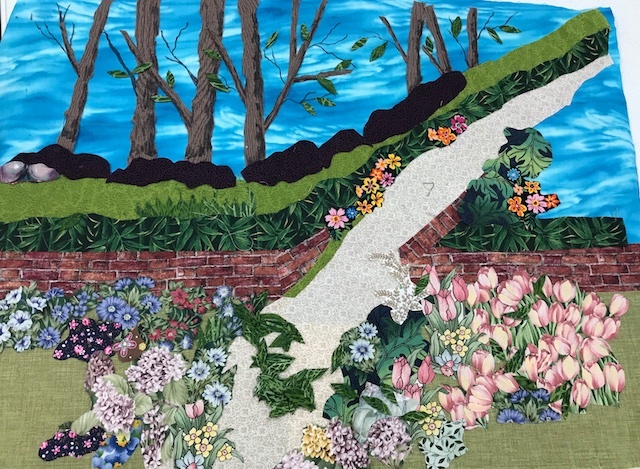 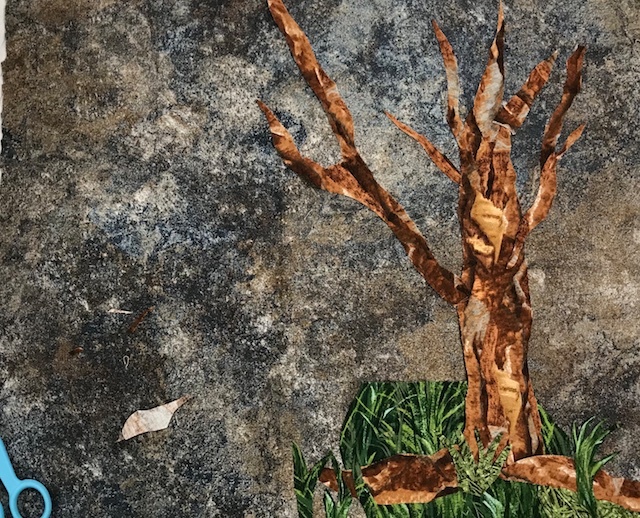 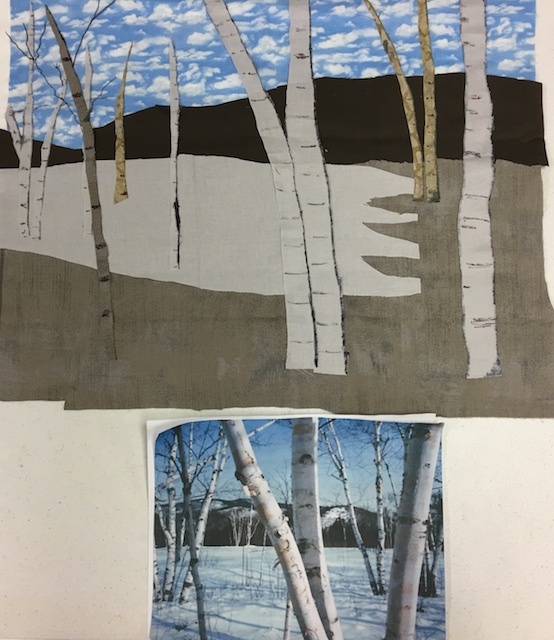 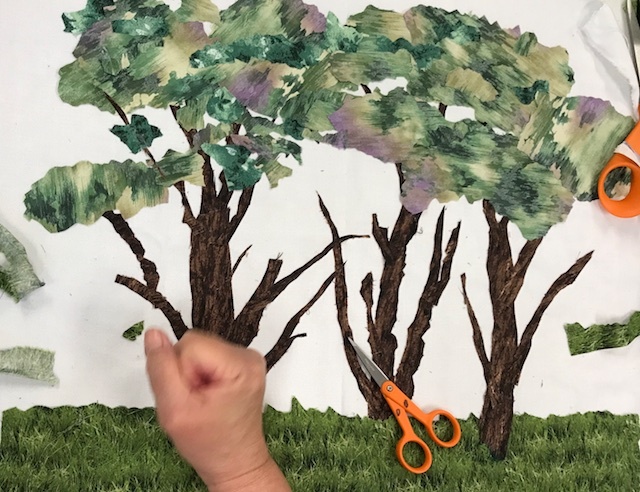 Using a picture of their choice for inspiration and instructions from Nancy Zieman and our instructor, Marilou, attendees created a landscape quilt hanging using only fabric, glue stick, scissors, and permanent markers. 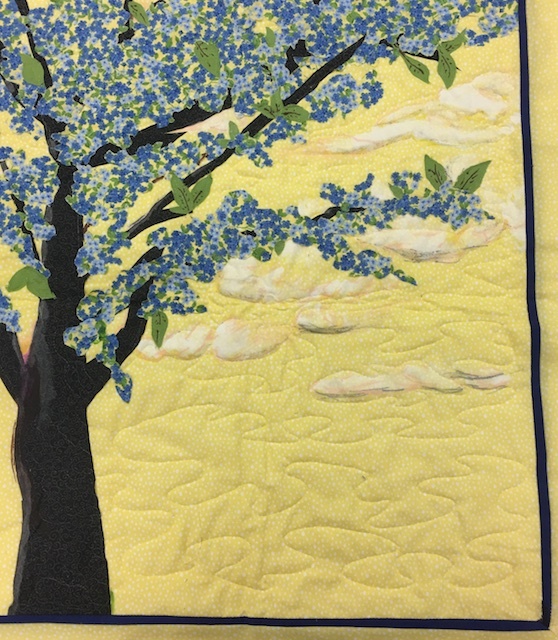 This is a hanging Marilou, our distinguished instructor, finished recently to share with the group. 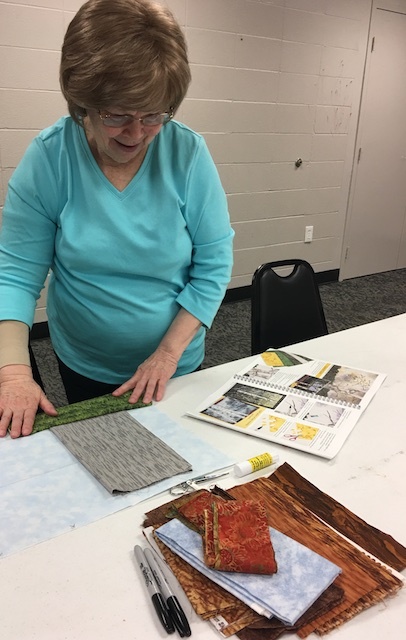 Barbara and Jean had already begun these two projects, and brought them to share with the others and to work on today, using the addition of the many fabric scraps brought to share. 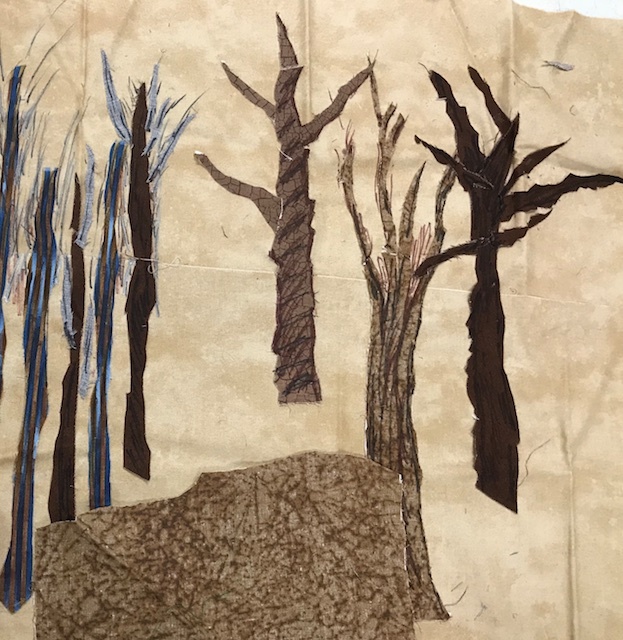 The others in the class were newbies, yet made incredible progress. 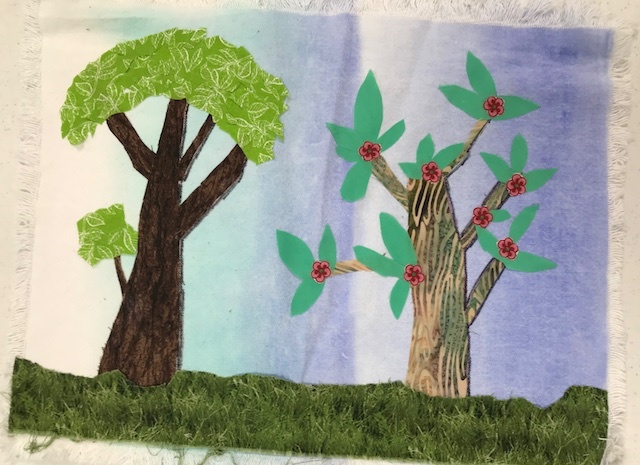 After a little more work at home, they will quilt the project and bring to another meeting to share with everyone. 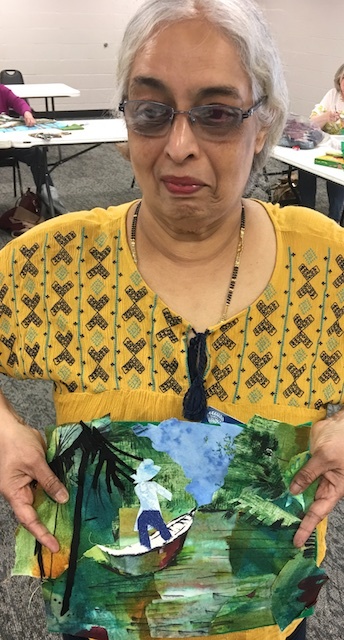 Sangeeta’s inspiration was a water color picture she made herself! 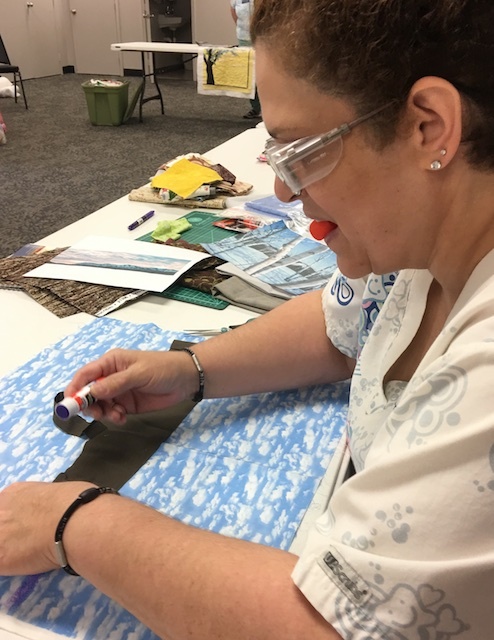 Thank you, Marilou, for an inspiring and creative program! 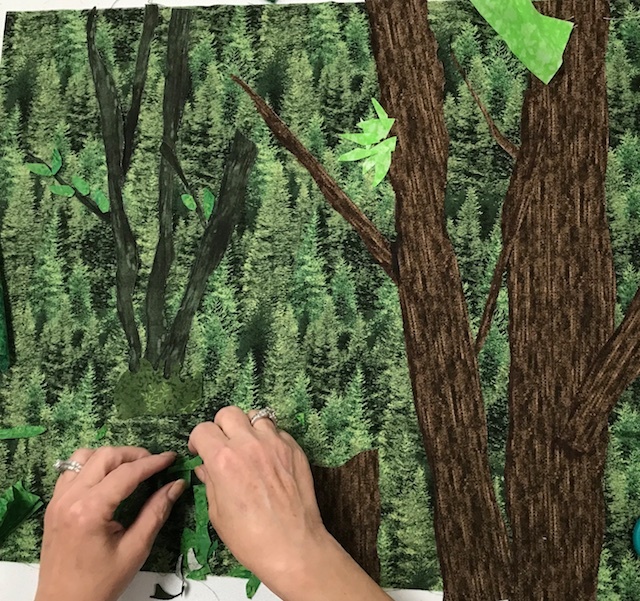 I can’t wait to see what our members create!